Emme is our most popular task-built to accommodate up to 95% of all users. Highmark InSync Body Balance Control combines high-design with ease of use. Highmark InSync Body Balance Control combines high-design with ease of use. 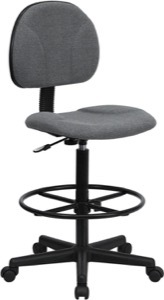 The Multi-Task Stools feature extra dense foam and a large, 5-star nylon base. It has a pneumatic 10" height adjustment. It can ship via UPS. Some assembly is required. It has a 250 lb. rating. The Seat Height is 23" at its lowest point and 33" at its highest. 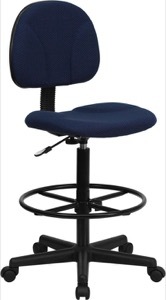 The Multi-Task Stools feature extra dense foam and a large, 5-star nylon base. It has a pneumatic 10" height adjustment. It can ship via UPS. Some assembly is required. It has a 250 lb. rating. The Seat Height is 23" at its lowest point and 33" at its highest. 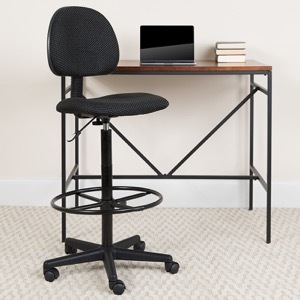 The Swivel Task Stool has an inflatable lumbar support that is orthopedically designed to give a customized adjustment. 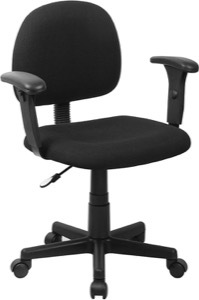 It has a swivel seat with pneumatic height adjustment, and a Five-star base with dual hooded casters and optional Black nylon arms. The back height is adjustment. The Seat has a 23" Height at its lowest point and a 33" height at its highest. It can ship via UPS. It has a 250 lb. rating. There are optional T-shaped arms that are height adjustable and have comfortable impact resistant urethane arm rests. The OFM Comfort Series Chairs feature modern styling for your office. The OFM office furniture combines clean, modern lines with stylish accents and a wide selection of tables, and chairs. The OFM Comfort Series Chairs feature modern styling for your office. The OFM office furniture combines clean, modern lines with stylish accents and a wide selection of tables, and chairs. The OFM Ergonomic Chairs feature modern styling for your office. The OFM office furniture combines clean, modern lines with stylish accents and a wide selection of tables, and chairs. The OFM Ergonomic Chairs feature modern styling for your office. The OFM office furniture combines clean, modern lines with stylish accents and a wide selection of tables, and chairs. The OFM Ergonomic Chairs feature modern styling for your office. The OFM office furniture combines clean, modern lines with stylish accents and a wide selection of tables, and chairs. The OFM Martisa Chairs feature modern styling for your office and task work areas. The OFM office furniture furniture combines clean, modern lines with stylish accents and a wide selection of tables, and chairs. OFM - Model LIB3672 Library Table, 36" x 72"
OFM - Model LIB4896 Library Table, 48" x 96"
Modern library / multi-purpose table offers style without compromising functionality | Ample 48" x 96" work surface is available in multiple finishes; 36" x 72" version also available | Tabletop is constructed of durable high pressure laminate and protected with edge banding to withstand heavy, frequent use | Sturdy steel frame and legs ensure a stable work surface and include nylon leveling glides to protect floors | Incredibly easy to assemble thanks to innovative construction and two-piece tabletop The OFM Office Chairs feature modern styling for your lunchroom or break room. The OFM office furniture combines clean, modern lines with stylish accents and a wide selection of tables, and chairs. The OFM Office Chairs feature modern styling for your lunchroom or break room. The OFM office furniture combines clean, modern lines with stylish accents and a wide selection of tables, and chairs. The OFM office furniture features modern styling for your office, utility room, or meeting area. The OFM office furniture combines clean, modern lines with stylish accents and a wide selection of tables, desks, and chairs. 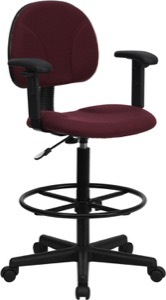 The OFM Office Chairs feature modern styling for your lunchroom or break room. The OFM office furniture combines clean, modern lines with stylish accents and a wide selection of tables, and chairs. The OFM Office Chairs feature modern styling for your lunchroom or break room. The OFM office furniture combines clean, modern lines with stylish accents and a wide selection of tables, and chairs.